The U.S. Food and Drug Administration on Friday approved a third drug to treat multiple myeloma, a type of blood cancer. The approved pill, called Ninlaro, is made by Japan’s Takeda Pharmaceutical Co. The FDA approved two other multiple myeloma treatments this year, one from Johnson & Johnson and the other from Novartis AG. The National Cancer Institute estimates that about 27,000 people will be diagnosed with multiple myeloma this year and more than 11,200 people will die of the disease. Ninlaro is to be used with two other drugs by patients who have already received at least one other drug therapy. 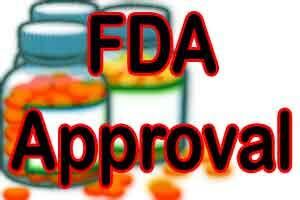 The FDA said Ninlaro can slow the progression of the disease when other treatments fail. Patients taking Ninlaro lived a median of nearly six months longer without the disease worsening than those taking other regimens, the FDA said. Side effects of Ninlaro include diarrhea, constipation, low blood platelet count, as well as numbness and pain from nerve damage.